Via Garibaldi is street of the historical centre of Genoa, northern Italy, well known for its ancient palaces. The street dates back to the year 1550. Originally named as Strada Maggiore, then Strada Nuova, only in 1882 its name was dedicated to Giuseppe Garibaldi. The Palazzi dei Rolli is a group of palaces in Genoa, northern Italy. 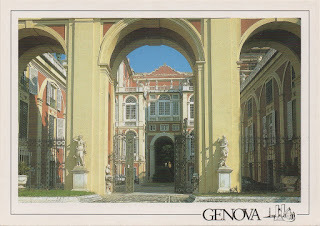 The Palazzo Reale (Royal Palace) or Palazzo Stefano Balbi is a major palace in Genoa. Construction of the present structure began in 1618 for the Balbi family. From 1643-1655, work renewed under the direction of the architects Pier Francesco Cantone and Michele Moncino. 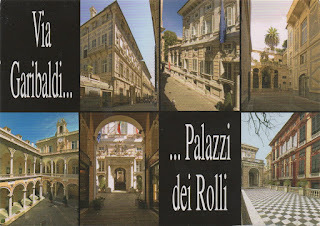 In 1677, the palace was sold to the Durazzo Family, who enlarged the palace under the designs of Carlo Fontana.